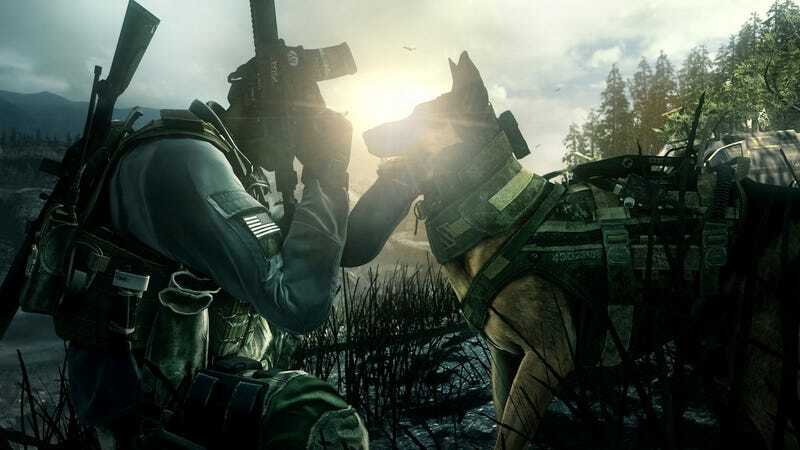 The PC version of November's Call of Duty Ghosts will be getting a little extra development love, according to the game's executive producer, Mark Rubin. As a result, it is probably going to be the best-looking version of the game, which has not been a given with this series. "PC is taking a different tack from previous games [in the series,]" Rubin told Kotaku during a phone interview earlier this week during Ghosts' big multiplayer reveal event. Older versions of Call of Duty, at least from Infinity Ward, the makers of the CoDs that come out in odd-numbered years, were built with the same graphics assets as the Xbox 360 and PlayStation 3 games. "Now, PC has its own set of assets," Rubin said. "It's going to look better than any Call of Duty we've ever made on PC." Rubin's team has already been talking about how sensational Call of Duty should look on this fall's powerful PlayStation 4 and Xbox One platforms. Those versions are expected to look far better, graphically, than the Xbox 360, PlayStation 3 and Wii U versions. Of the PC edition, he said, "They're actually using an even higher version in many cases than the next-gen consoles, from a texture standpoint." Aside from graphics, Rubin expects there to be parity across versions of Call of Duty Ghosts this year. Asked if multiplayer would differ significantly between PS3/360 and PS4/XboxOne versions, he said they'd really only be distinguished from each other by graphics. Based on that standard, it seems like the PC may be the winner, as it is in so many multi-platform comparisons.